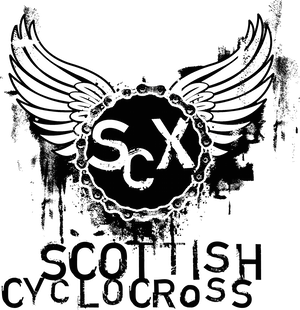 Scottish Cyclocross Association: Planning to race this season? We'd like to make things a bit easier for everyone at Scottish cyclocross races this year - racers and organisers alike. In order to help reduce queues at sign-on we're asking people to provide us with the common details used on the Scottish Cycling entry forms before the season kicks off. We'll then pass these to the event organisers, so that they can pre-populate the forms and save everyone a little time on the day. Note: no need for U12s / Youths / Juniors to submit their details. All Scottish Cyclocross events for 2010/11 allow entry on the day, although you can enter in advance using the details in the Scottish Cycling calendar. In addition Stirling Bike Club are allowing people to enter the Plean round in advance using EntryCentral. If you can enter in advance, then we're sure organisers would appreciate it if you do. Please note that by providing details you aren't actually entering a specific race and it doesn't guarantee of a start in the unlikely event that races are oversubscribed. You MUST enter the Scottish Cycling Cyclocross Championships by the 29th November AND hold a full racing licence (in accordance with Scottish Cycling rules) in order to race in the championships. It'll be worth it - Irvine is a great cyclocross course! Can you confirm that league points will be allocated to riders who get a licence on the day? Also some directions and info on locations of races eg. Stephen Lyle memoial, Fife WHERE IS IT? Is the calendar correct in showing Sun 28th and Sat 27th November as consecuitive races. Thats a good help for people who have not got much prior knowledge of venues etc. No need to join a club or Scottish / British Cycling to race cyclocross. Invitation to submit details is to help us help organisers by providing information that folks fill out at sign-on to cut queues. Look forward to seeing you at Mugdock - ideal race to start at. Can i race with a provisional BC license or do i need to get a full day-license for each race? Anonymous - provisional licences are fine. A'body - Have just clarified this article in a bit. Feel free to ask questions. The British Cycling website shows that the U12's Race is CANCELLED at Meadowbank. due to unforseen circumstances? what can be unforseen weeks in advance that cant be resolved? ITS A 20 MIN CHILDRENS RACE and also why is this not on the main SXC website.. These are the riders of the future who will maintain cx in years to come. Lots of poeople would be turning up having wasted time and energy preparing their kids for the race, not to mention the kids dissapointment! Sorry, just back from a work trip abroad and still working through my emails. Website now updated. The venue is a multisports one and all pitches and facilities are now in use on the day, so there are capcity concerns - particularly over car parking.